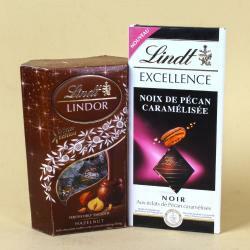 Product Consists : Lindt Excellence Noir Abricot Intense Chocolate Bar (Weight : 100 Gms) along with Al Alwani Chocolate dates (Weight : 100 Gms) in a Gift Box. Finding the suitable gift for a correct person can be tricky. 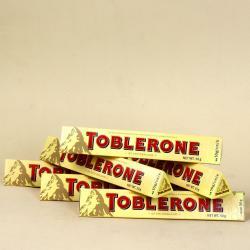 When in doubt, give Chocolate it is affordable and practically guaranteed to put a smile on someones face. 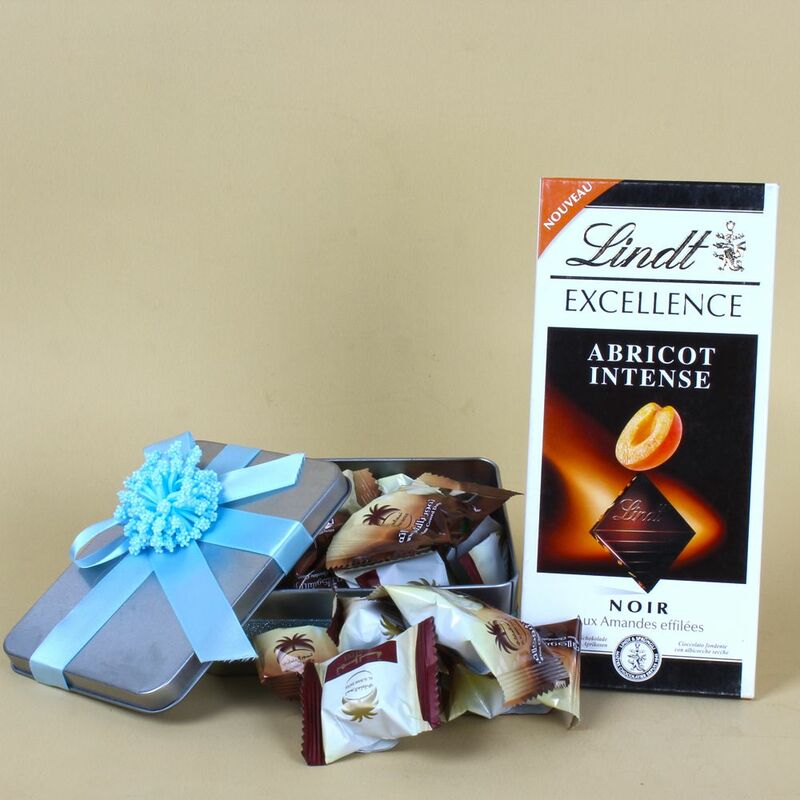 Gift the Amusing Chocolate Hamper which consists of Lindt EXCELLENCE Abricot Intense Chocolate bar with Al Alwani Chocolate Dates. Create fun-filled moments on your dear one special occasions like Birthday, Anniversary, Valentine's Day with Unique Chocolate gift. Sweetness allures the shrine of glaring smiles. 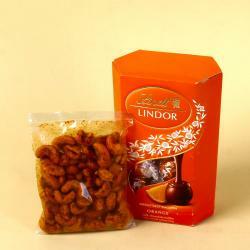 Make loved ones more delighted by sweet gift. Exclusively Designed to cure all cravings, our thoughtfully curated food items collection is the perfect gift to satisfy every craving. Browse your favorite products, it is very conveniently available for online shopping from anywhere in India with Free Shipping. 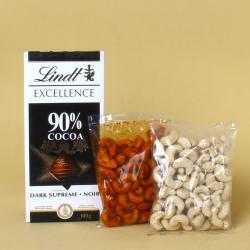 Product Includes :Lindt Excellence Noir Abricot Intense Chocolate Bar (Weight : 100 Gms) along with Al Alwani Chocolate dates (Weight : 100 Gms) in a Gift Box.